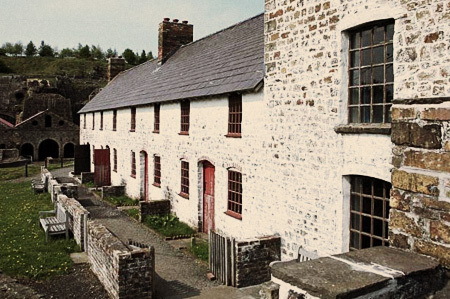 The Grade 1 listed, world heritage site of Bleanavon ironworks holds substantial remains of five early blast furnaces and associated workers’ housing, dating from the late eighteenth century. Jones and Fraser’s skilled Stone Mason carried out consolidation stone work and set 16 profiled and moulded cills in the site cottages. Jones and Fraser are due to return to conduct chimney repairs and internal lime plastering.